Most visitors to the Las Vegas and Southern Nevada region think of casinos and the nightlife offered by the famous Las Vegas Strip. There is so much more to offer in the area once visitors leave the city. Just a few miles south of Las Vegas is the Lake Mead National Recreation Area that was created by construction of Hoover (also known as Boulder) Dam, one of the great engineering feats of the 20th century. The facility, more than 700 feet high, was built during the Great Depression. 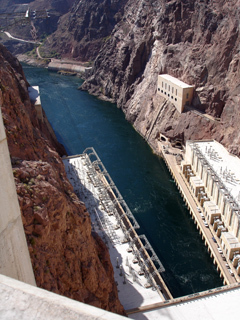 It blocked flow of the Colorado River and created electricity and flood control for major portions of the southwestern United States. 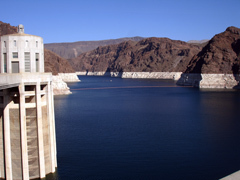 Today Lake Mead is one of the major recreational areas in the southwest and the dam is a major visitor attraction.